Bringing the viewers to the little guys. Login with Twitch to get started. By having all our viewers on one page, we are able to direct everyone at once to a single channel. We pick from a bag of low view count streams and let you, the viewer, vote for what you watch. 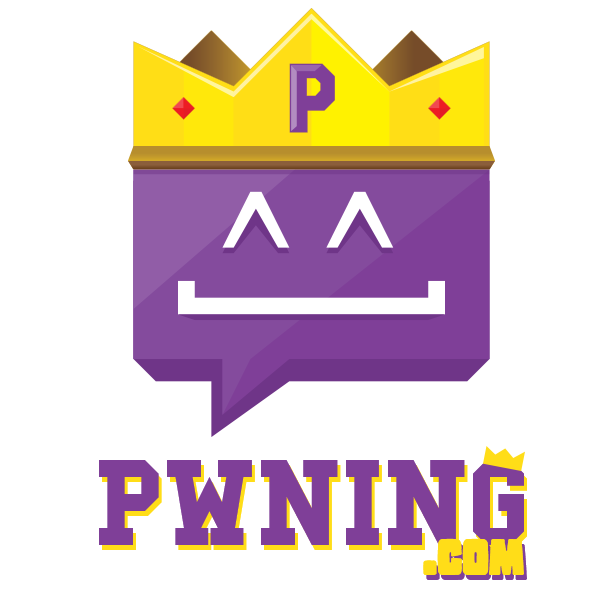 Streamers are given the chance to bring their channels into the spotlight by opting in to being featured on Pwning. To encourage fair use and a supportive community, streamers are rewarded for watching and interacting with other streams featured on Pwning. 1. Who are these streamers? What are Pwning Channels? The streamers featured on Pwning are all small streamers on Twitch. Some of the streamers are randomly selected from Twitch itself, while others are users on this website that have opted in to being shown. If you like one of the streamers, make sure to throw them a follow! The frontpage is our main channel where we display any small streamers playing random games. However, if you want to watch more specific games or themes, check out our Channels page for more specific content. Instead of visiting random streams, channels will visit only small Twitch streamers playing a particular game or theme (ie, speedruns). 2. What is "Rock The Vote (RTV)"? Rock The Vote (RTV) allows viewers to forcefully change streamers being featured. If the streamer has audio/video issues or content is lacking, click the icon below the video to vote for RTV. Once the RTV progress bar hits 100%, a new vote will be issued to choose the next streamer featured. 3. I want to visit the streamer's Twitch page, how do I find it? If you want to reach the current streamer's Twitch page, simply click the video and it will take you to their Twitch page. If you missed out on the last streamer and want to visit them, check out our History page for a listing of the most recent streamers featured. 4. What is this voting dialog that appears over the video? Streamers that are featured on Pwning are selected by the users of Pwning. The voting dialog displays four Twitch streamers and asks the users to choose which one should be featured next. Simply click the streamer that seems interesting to you and watch the voting results live. After 60 seconds have elapsed, the winner will be chosen and they will be featured on Pwning for 15 minutes. 5. How do I get rid of this voting dialog? If you want to get rid of the voting dialog, click the ✖ in the upper right of the dialog box. 6. How do I follow the streamer that is currently on the website? Log in to the website with Twitch and a Follow button will appear in the bottom left of the website. 7. How long are streamers featured on Pwning? A streamer will be featured for 15 minutes or they will be changed earlier if the RTV hits 100%. 9. What features are unlocked by logging in? 10. What are these buttons and numbers below chat? Those buttons can be used to tell the current streamer if you feel they fit into one (or more) of four catagories. Commend the streamer for being friendly and inviting. Commend the streamer for being interactive with chat and Pwning. Commend the streamer for being entertaining. Commend the streamer for having a high quality stream (smooth FPS, clear audio). This does not help or hurt a streamers chance to be featured on pwning. It is only to help the streamer understand the impression their stream is making on viewers from Pwning. Streamers can review commendations from their sessions by visiting their Profile. Interaction in chat and live feedback is highly encouraged as well. 11. Is there a Pwning forum or community to talk outside of chat? Yes! You can find us on Reddit at the Pwning subreddit or on our Steam group. 1. How do I get my stream featured? In order to get your stream featured, you must login to Pwning with Twitch. Once logged in, visit your Profile page. To opt-in, click the checkbox next to "Promote Me:". A green checkmark should appear. Your opt-in status is saved so Pwning can feature you even if you are not on the website. Now it is just a waiting game until your name appears in the voting box! Note To make your channel visible, you need to go to your Twitch Privacy settings. Confirm that "Hide from Directory" and "Prevent embedding" are not checked. If either of these options are checked, uncheck them so our system can detect you. Note If you have more than 75,000 views or 1,000 follows, you probably are too big to be featured on Pwning. Note If you have opted-in, you do NOT have to be on the website to be featured. You can close Pwning while you stream so you do not take the performance hit of having Twitch playing in the background. 2. How are streamers selected for featuring on the front page? Since Pwning is tailored to featuring "small" streamers on Twitch, we have a formula to quantify the popularity of a streamer. All of the streamers are then ranked by their popularity and we choose 4 from the top 20 least popular streamers. If you are a user on this website, you get additional points added to your account that help negate your popularity. The more often you interact with streamers featured on Pwning, the more points you will acrue. Whenever you are featured, these points are reset to zero to disincentivize AFKing or featuring inactive users on the website. Simply by being a user of the website, you are given a large priority compared to a randomly selected streamer from Twitch. If there are enough streamers on Pwning, it will end up only selecting primarily from those that have opted-in to being featured. Note You only receive viewing/interaction points when you are not streaming. This is to encourage an active chat and discourage AFKing on Pwning. You are not penalized for using Pwning while you are streaming, however you will not be rewarded either. Note Chatting with those featured on Pwning is highly encouraged and helps contribute to your own likelihood of being featured. 3. How often can my stream appear on Pwning? We are trying to distribute the viewers evenly amongst a lot of small streamers. In order to accomplish this, anyone that has been featured on Pwning will incur a cooldown until they can be featured again. This cooldown is variable, but on average it should be around 24 hours before you can be featured again. Note You can check if your stream is currently eligible to be featured on your Profile. 4. How can I see the statistics for my broadcast on Pwning? If you want to see how many views and follows you received in a recent stream, check the History page to see your stats. You can also visit your Profile profile page to view stats on each of your featured sessions and other global statistics. 5. When I am streaming, my profile indicates that I am not online. What is wrong? We locally cache the Twitch streamer listing to reduce quantity of Twitch API calls and stress on Twitch services. We only update your online/offline cached status approximately every 10 minutes so you may appear as offline until the next refresh. Note The Twitch API also utilizes caching so we may be delayed in detecting your stream. 6. What should I do to prepare for being featured? Ensure that your video and audio quality is excellent. If quality is poor, you will likely be passed over very quickly so make sure your setup is good first. Chat could get rowdy. This unfortunately is a natural side effect of the internet. If this bothers you, make sure you have configured NightBot or MooBot for your channel before opting in. To make your channel visible, you need to go to your Twitch Privacy settings. Confirm that "Hide from Directory" and "Prevent embedding" are not checked. If either of these options are checked, uncheck them so our system can detect you. 7. Do you have any Pwning promotional material I can use on my Twitch page or stream? Yes! Lou Chou was kind enough to make several different designs for streamers to use on their overlays or Twitch pages. 8. How do the Pwning channels work with promotion? The more specific Pwning channels allow viewers to hone in content they are more interested in. The frontpage channel is the only channel that consumes your points (Refer to Streamer Question #2). All of the other channels are "freebies" as they will not spend your points (but you still need points to be eligible). Additionally, every channel has its own separate cooldown so you won't be penalized by being featured on smaller channels. 9. I'm having problems with the website, who do I contact?